The dental professionals at Magnolia will prescribe a dental bridge when one or more teeth are missing and there are healthy teeth on both sides of the open space. Bridges can be made from three types of material – solid gold for reliable long wear, porcelain fused to a gold base for strength and beauty, and high-strength metal-free porcelain for optimum cosmetic results. With proper care, your new bridge will increase your overall health and instill confidence for years to come. 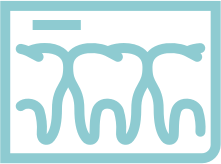 The average lifespan of a permanent dental bridge is about 10 years. 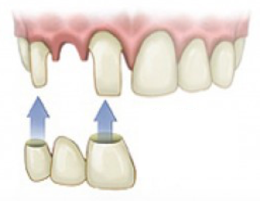 What Does the Dental Bridge Process Look Like? Yes! After the seamless installation of your dental bridge and a brief adjustment period, you should be back to smiling and chewing like a pro. However, you should adopt a slightly more mindful dental hygiene routine. You will want to floss each day and use a proxybrush to remove all excess debris between teeth. This will greatly reduce your chances of additional dental decay. For more information regarding dental bridges and how to care for them, get in touch with Magnolia Dental today!